In the present work, a comprehensive study is undertaken to analyze the mechanical strength and failure of different polymers reinforced with adaptable fibers. For the purpose of analyzing tensile strength, specimens as per ASTM standards with different permutations and combinations of polymers with fibers were additively manufactured and tested. Three different sets of samples, namely ABS (acrylonitrile butadiene styrene), PLA (polylactic acid) and onyx in combination with other synthetic fibers such as carbon and Kevlar, were used. These materials, i.e., ABS, PLA and onyx in combination with carbon fiber, have generated a healthy response to tensile loading and exhibited much higher peak load with larger plastic phase. 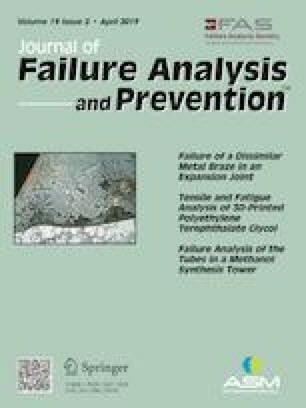 Also, these additive manufactured fiber-reinforced thermoplastics’ failure was analyzed using von Mises criterion and is found to be within the recommended limit. These reinforced thermoplastics can be used for manufacturing of tiny, intricate and complex parts for medical applications.